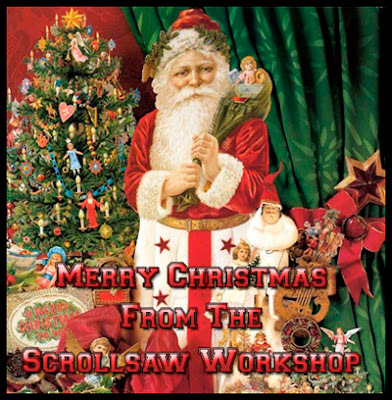 I wanted to take this opportunity to wish all the scrollers around the world a very merry Christmas. Over the last few months I have had the opportunity to talk with many of you. You come from Spain, Australia, Great Britain, Brazil, Canada and many other countries as well as every state in the U.S. It has been my pleasure to learn from and share with each of you. Enjoy the holidays an be safe. 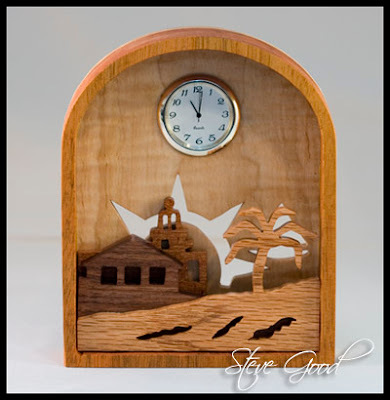 This shadow box clock stands about 6" tall and 5" wide. It requires a 1 7/16" mini clock insert. Choose some nice contrasting woods to make the scenery stand out from the background. 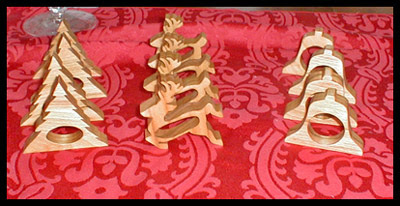 This project is very easy to make. I was able to use some wood from my scrap bin and I had it completed in less than two hours. Be careful when you cut the palm tree. Stay well to the outside of the line to give it as much strength as possible. I hope everyone has had a good weekend. It's the last day of my vacation so it's back to the grind tomorrow for me. 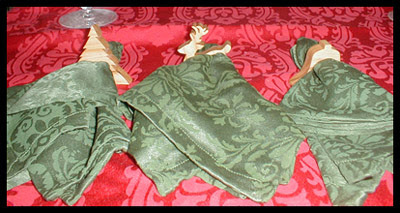 About a week ago I contacted you about some Christmas Napkin rings. I came up with some on my own and here is the finished product. Thought you might like to see what I came up with. Thanks for sharing Ray. These look great. 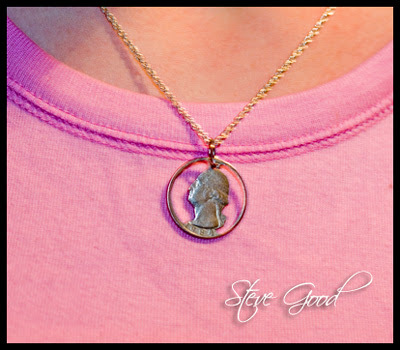 Cutting coins on the scroll saw for jewelry is an art that can be fun and profitable. Check out the listings on ebay to get an idea of what is possible and current prices. To cut coins on the scroll saw you need to make a jig to hold the coin while you cut it. I have made this video to show you how to make that jig. You will get questions about the legality of cutting coins. 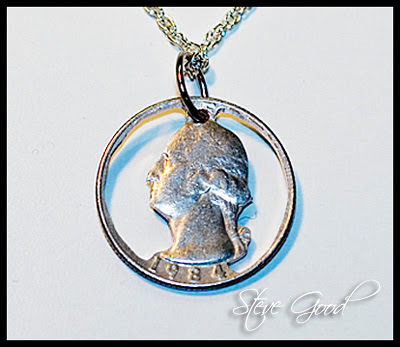 It is not illegal to cut coins for jewelry. You can do a google search on the subject if you are concerned. I hope you enjoy the video. Please send me pictures of the jewelry you create with this jig. I would love to see them and share them with all the readers.